MOSCOW, July 10. /TASS-DEFENSE/. 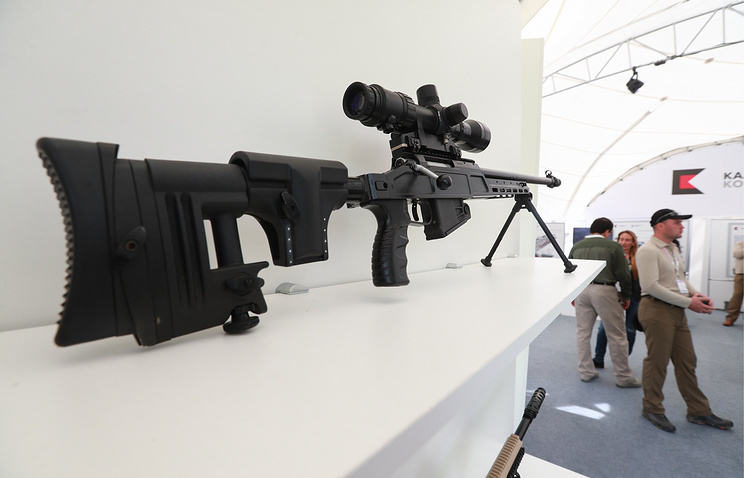 Russia's National Guard (Rosgvardiya) has acquired the SV-98 7.62 mm bolt-action sniper rifle developed by Rostec`s Kalashnikov Group, according to a source from the Russian industry. "The National Guard has signed a contract worth RUB8 million [USD128,020] for 26 SV-98 sniper rifles with the Kalashnikov Group. 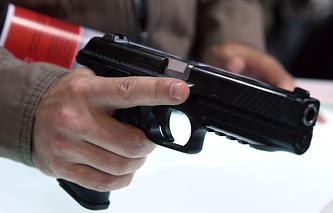 The firearms will have been delivered to the customer by 20 November," he said. The source did not disclose the variant of the SV-98 to be delivered to the service. The National Guard is supposed to get the latest variant of the sniper rifle, which is chambered for 7.62x54R cartridges. This modification of the SV-98 is based on an aluminum chassis with adjustable skeleton folding buttstock and two upper MIL-STD-1913 rails for an optical sight and a night detachment, respectively. The SV-98 is fitted with a 650 mm barrel and is fed by 10-round polymer magazines. The firearm features an overall length of 1,375 mm (with a silencer), a combat weight of 7.8 kg, and a muzzle velocity of 820 m/s. The rifle is accurate at a distance of up to 1,000 m with the use of its organic sight. The SV-98 has received an adjustable firing mechanism with a trigger pull varying between 1.0 kgf and 1.5 kgf. The baseline sniper rifle has been complemented by the 1P69 Giperon (Hyperon) 3-10x variable optical sight, a quick-detachable tactical silencer, and a bipod. A monopod (‘third leg’) is integrated with the lower part of the buttstock. The Kalashnikov Group largely invests in the development of bolt-action sniper rifles chambered for 7.62x54R and 8.6x70 (.338 Lapua Magnum) cartridges. At the Army 2017 defense show, the company unveiled the SV-338 sniper rifle (.338 LM) and the latest variant of the SV-98. Kalashnikov also delivers the Dragunov SVDM (M for Upgraded) 7.62 mm semi-automatic sniper rifles to the Russian military. The SV-98 fires the 7.62x54R cartridge, which is also used by the SVD/SVDM.